Spinal fusion is a type of surgery that is performed in order to give more stability to the vertebral column. It is often done to correct problems caused by degenerative processes such as spinal stenosis and osteoporosis and as a secondary surgery after damaged vertebrae have been removed. Spinal fusion surgery is also used in cases of fracture and tumor removal. One important aspect of spinal fusion surgery is the insertion of a bone graft that serves as the key component to providing support to the spinal column. 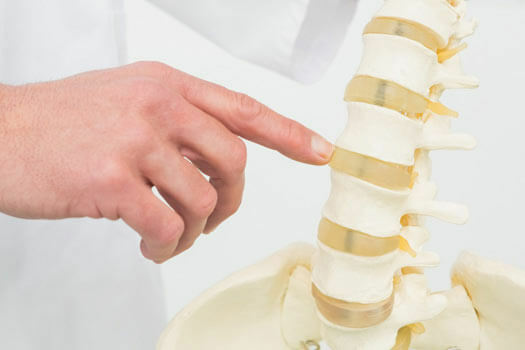 Spine surgeons who opt to use the autograph method use bone that is taken from another part of the patient’s body. The donor bone is usually harvested from the iliac crest, the curved portion of the pelvis, and placed on the specified portion of the spine. Autographs work well in some circumstances because they have a decreased incidence of rejection. They also provide calcium and osteophytes, or growth cells, and serve as natural scaffolding for new bone growth. An allograft is a donor bone graft that has been retrieved from a cadaver, and the sample is usually obtained from a tissue bank. The procedure has a lower success rate because the donated bone lacks the osteophytes that enhance growth and integration into the vertebral column. When a patient does not have a sufficient amount of bone for a complete autograft procedure, their own donation is often augmented with an allograft. Several artificial grafts are used in surgery at this time and many more are being researched in clinical trials. Synthetic parts eliminate the need for the harvesting procedure as is needed in an autograft. Additionally, the risk for disease transmission from an allograft is eliminated. Have questions about spine fusion surgery or wondering if you’re a candidate for non-fusion spine surgery? Call (310) 828-7757 and request an in-person consultation with one of the experienced board-certified spine physicians at The Spine Institute Center for Spinal Restoration in Santa Monica.